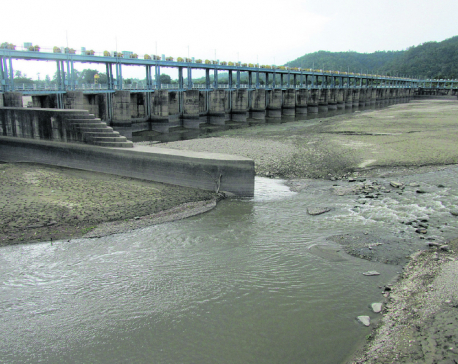 BARDIYA, Aug 4: At a time when the failure of an ambitious national pride project – Sikta Irrigation Project – has been drawing the headlines, another important project, Bheri-Babai Irrigation Project, shares a similar fate. Though it is expected to pave way for economic prosperity of the province by enhancing agriculture, the multipurpose project has been staggering midway. Even after three decades, it has shown no real progress except for some works on tunnel construction. The authorities had last week reported of completing fifty percent of drilling of the tunnel. The project had started in 1987 and the budget was released from internal resources. The estimated cost of the project initially was just Rs 2 billion. Over the years, it has grown to Rs 12.5 billion. The more it is delayed, the project is going to cost even more. The government has already spent Rs 8 billion separately for land acquisition. The aim of the project was to channelize water from Bheri to Babai river and use it for irrigation and power generation. 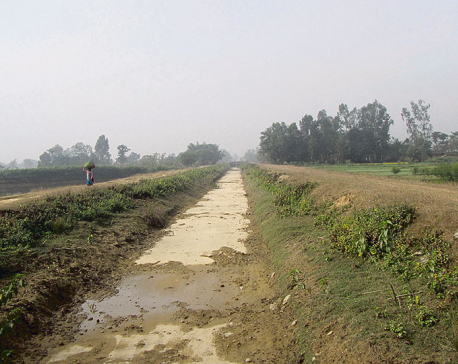 The project aims to provide irrigation facility to 51,000 acres of land in Banke and Bardiya districts. So far, nothing significant has been done for the construction of the main canal. When the project was initiated, the government had then told the farmers that they would get water for irrigation in five years. As per the government’s promise, they should have got irrigation facility since 1992. However, this never turned into a reality. According to the locals, instable government is the cause for the delay in completion of the project. Since one after the other government came, and they changed the project chief and contractors, the project never came to an end, they lament. As per the record, three project chiefs were appointed in the same fiscal year. Political connection has been seen as vital in such acts. This has led to slow progress of the project. “As and when the government changes, they bring their team. The earlier team, which had just started its work was sacked. Then, the work has to be started from the scratch again. The government topples and the next comes and again the same thing repeats. This has led to the failure of big projects like this,” said a farmer Rajkumar Chaudhari. The local of Bardiya added that no party is really bothered about the farmers like him. “If this project had been completed on time, there was no need for farmers like us to worry. We would make huge harvest even from small plots of land. But in the lack of enough water, we have been suffering a lot,” he said. Chaudhari added that the project was a big dream of the locals. “But such dreams hardly come true,” he lamented. It was during the last fiscal year that three project chiefs handled the project. Dan Ratna Shakya, Ramesh Bandhu Aryal and Kunjan Bhakta Shrestha have worked as the project chiefs. As the concerned departmental chiefs were changed, the project chiefs got changed. As per reports, Rs 10 billion has already been spent for the project. Sub canals are yet to be constructed and the main canal has not been given the final touch either. “They are still stuck to the main canal. God knows when the sub canals are going to be constructed. 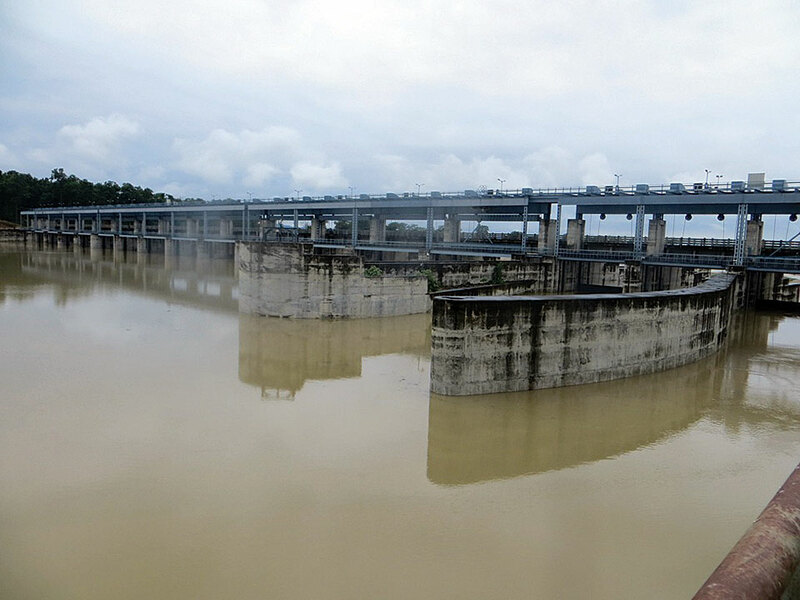 Without the sub canals, we won’t be getting water,” Chaudhari expressed his concern. He accused that the government did not start the work of the sub canals deliberately in order to delay the project. “If they delay the work, they get to fill their pockets. The government officials do it deliberately,” he fumed. According to Balaram Chaudhari, another local, government’s apathy is the reason behind the delay in the project even after 30 years. “If the government wanted, it could have completed the project much earlier,” he noted. “The works of sub canals are yet to start. The main canal is not yet in shape. The works that have been completed are fragile and can crumble anytime. So, what can we expect from such government?” he questioned. “This is the negligence of the contractor and those who are supposed to supervise their work,” he added. Farmers of Motipur, Kalika, Mohammadpur, Jamuni, Sorahawa and Deudhakala, among other villages complained of lack of irrigation facility. Had the project been successful, they would benefitted a lot. Meanwhile, the current project chief, Kunjan Bhakta Shrestha, claimed that the progress is ‘satisfactory’ this year. He stated that it was sluggish in the past. “Now, it will gain pace,” he asserted. According to him, around sixty percent of the project work has been completed so far and the remaining 40 percent will be done ‘on time’. The feasibility study of the project was done way back in 1967.